The Gold Coast is a popular destination for families and for good reason. 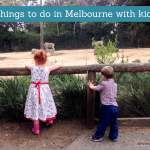 Nowhere else in Australia are there so many fabulous attractions that are just perfect for families. From Movie World to Dreamworld to the beautiful beaches, you will not struggle for things to do on the Gold Coast. 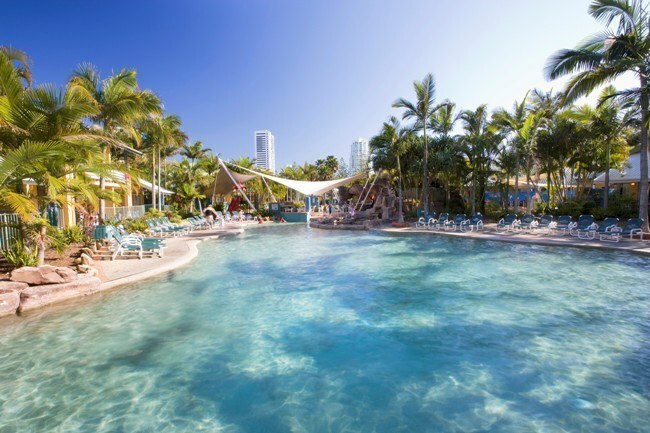 Starting off our top ten family resorts on the Gold Coast is this magnificent resort right next to Sea World. This resort has no shortage of amenities to entertain and please your kids, and hopefully give you a break too. Sea World Resort has monorail access to Sea World itself but is also home to pools and an amazing kids’ water park. There are also restaurants, bars, a kids’ club, gym and many water sport options. For families who want a complete resort with no reason to leave – this is perfect, especially if you want some mum and dad time as babysitting at this resort is available.Also available are massage and beauty services so that you can fully unwind. There are a range of rooms especially for families with multiple beds. Interconnecting rooms are available with 4 double/queen sized beds, which are a great option for larger families or those with older kids. There are also cots available for younger families. Check out the latest prices and reviews for Sea World Resort. Another 4.5 star resort in the running for the best kids’ resort on the Gold Coast is the Turtle Beach Resort. It is another great choice for fun family times and relaxation. While your kids are kept entertained, there is an adults only area with a day spa at Chelonia. There is also an adults only pool for you to have a well deserved break. One of the many bonuses of this resort is the fully self-contained, family-friendly accommodation. These apartments range in size from 1 to 4 bedrooms making it the perfect choice for any size family. Baby equipment, including strollers, high chairs, bed rails etc is also available for hire with advance notice giving you the option to travel light. Be aware: Extra charges for some of the facilities such as the golf and internet. Best For… Families who want fully self contained accommodation and lots of kid friendly amenities. Click here for the latest prices and reviews of the Turtle Beach Resort. 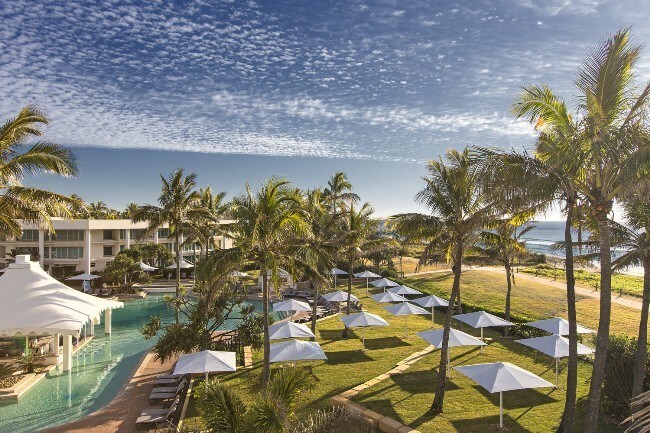 The Sheraton Mirage Resort is a luxurious 5 star option right on the the Gold Coast beaches and is definitely a contender for the best place to stay in the Gold Coast for families. The recently refurbished rooms are known for their space with the smallest starting at a generous 43sqm. There are hotel style rooms or suites with living and dining areas. There are also amazing 2 bedroom villas on offer which are more like fully self contained homes and come with their own access and parking. These are a great option for families. Best For… Families who want 5 star luxury and family friendliness at a beachfront location. Click here for the latest prices and reviews of the Sheraton Mirage Resort. 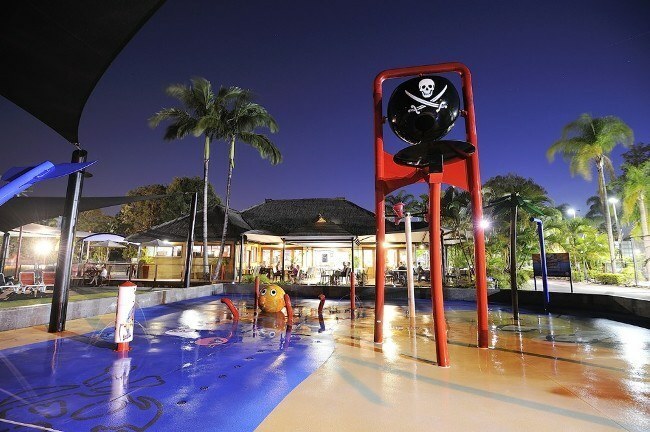 Another contender for the best Gold Coast accommodation for families is the Treasure Island Holiday Park. This large holiday park is packed full of family friendly facilities and top family accommodation. There are a large variety of room types as well as sites for caravans. Cabins, units and villas are all available with up to three bedrooms. All are fully self contained. Cots are also available for an extra charge. Best parts: Spacious, self contained accommodation options, a full range of facilities. Be aware: Extra costs for cots and some activities. Best For… Families who want lots of space, self contained accommodation and many facilities at their door step for a great price. 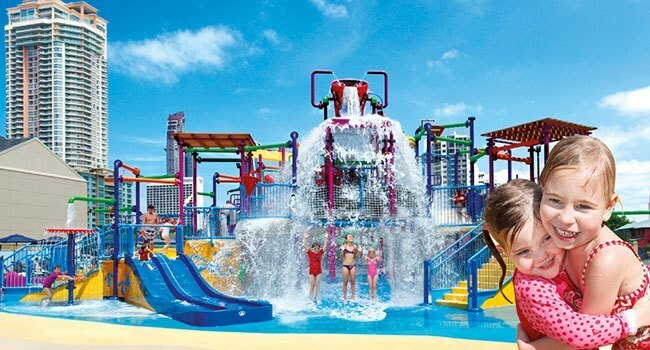 Click here for the latest prices and reviews of the Treasure Island Holiday Park. 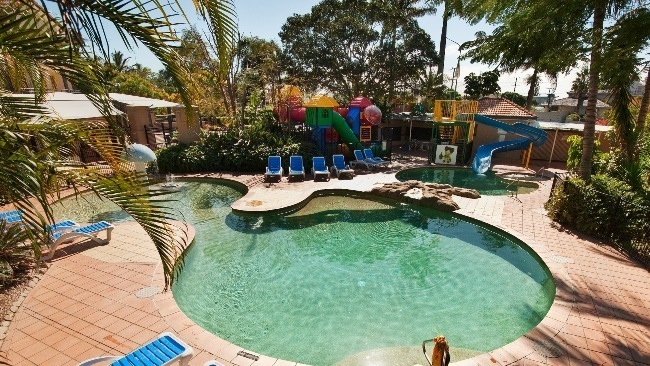 Zagame’s Paradise Resort is well know for being one of the best family resorts on the Gold Coast. It has won multiple awards in this category and it exudes family fun. At this resort, you will find many many facilities to make your time here as fun as possible. The big ones are the water park (pictured above), ice rink and kids’ club. Yes, this resort has an ice rink! There is also a large lagoon pool and daily activity and entertainment program. Additionally, you will find a shop, multiple dining options, rock climbing, an inside jungle gym, an outside adventure playground, games room and BBQ areas. One of the biggest pluses of this resort is that kids’ club is available from 0 to 12 years old making it a great option for parents of preschoolers who would not usually be able to send their kids to kids’ club. There are 9 great themed areas and a variety of sessions that run throughout the day. Take note that kids’ club is not automatically included in your room rate. You can buy packages that include a session of kids’ club per child per day or this is at an additional cost. While your kids are having fun, there is also an adults only area. Another plus of this resort is that it is centrally located in Surfers Paradise only a couple of blocks from the beach. Zagame’s Paradise Resort has a wide range of room options from standard hotel rooms with two beds to a wide range of larger options with two bedrooms or interconnecting rooms. There are rooms that can fit up to 8 people, making this a great choice for bigger families. Some rooms also feature spa baths and extras such as Xboxes or PlayStations. Best parts: The huge range of facilities and the kids’ club from birth. Be aware: There are extra charges for some of the facilities and kids’ club. Best For… Families who want a centrally located resort with amazing kid facilities and a kids’ club from 0. Click here for the latest prices and reviews of Paradise Resort. Ashmore Palms Holiday Village is another great holiday park in the Gold Coast area which is a fantastic choice for families. At Ashmore Palms, you will find two swimming pools – one with fountains which will amuse the kids, two children’s playgrounds and a tennis court. The holiday village is located in beautiful gardens with a rainforest walkway. There are also free children’s activities including bird feeding, kids crafts, tennis lessons, movie nights and face painting. There is a wide range of cabins and villas available from studio options up to three bedrooms. They are all fully self contained and come with different options depending on your budget. There are cots, strollers and high chairs available to hire. Best parts: Wide range of accommodation options. 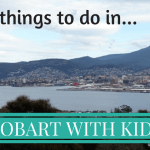 Good free activities for kids. Best For… Families who want the space and privacy of self contained accommodation in a holiday park. Click here for the latest prices and reviews of the Ashmore Palms Holiday Village. BreakFree Diamond Beach is another one of the great family friendly resorts on the Gold Coast. Here you will find a great mixture of facilities, self contained accommodation and a fantastic location within walking distance of the best parts of Broadbeach. The BreakFree Diamond Beach has two lagoon style pools, two spas and a BBQ area. There is also an activity playground, kids’ pool and games room. There is baby sitting available and you are just a short walk from a myriad of dining options. There are one, two and three bedroom apartments scattered across the resort grounds. These apartments are self contained, have full laundry facilties and large balconies. Best For… Families who want comfortable, self contained accommodation, resort facilties and a handy location. Click here for the latest prices and reviews of Breakfree Diamond Beach. Xanadu Main Beach Resort is also in the running for the best family resort on the Gold Coast. It is a luxury, 4.5 star option by the beach which has won awards for being family friendly. At the Xanadu, you will find two swimming pools – indoor and outdoor, heated spa, sauna, gym, two tennis courts, a games room, BBQ facilities and a library. You can be on the beach in a few minutes. The self contained apartments are a very high standard and all come with washing machines and everything you need for a relaxing and easy stay. There are one and two bedroom options. Car parking and wifi is included. Best For… Families who want an excellent quality apartment with all resort facilities. Click here for the latest prices and reviews of Xanadu Main Beach Resort. The Oaks Calypso Plaza is one of the best family hotels on the Gold Coast. It is in a great location in Coolangatta by the beach and near the airport. The Oaks Calypso Plaza consists of apartment style accommodation ranging from studio apartments to one and two bedroom self-contained apartments. The majority have balconies. There are also two-level executive apartments with spa baths. Be aware: Have to pay for over 30 minutes of wifi per day. Best For… Families that want self contained accommodation in an easy location. Click here for the latest prices and reviews of the Oaks Calypso Plaza. The last of our top ten best family resorts on the Gold Coast would have to be one of the best. This 5 star resort is not only luxurious but great fun and very family friendly. It was awarded the “Best Deluxe Hotel Accommodation 2014” by QHA. The rooms are a very high quality and many come with two double beds. There is also a range of interconnecting rooms to make things easier for families and the option of one bedroom suite rooms which also feature a living room with dining area. The rooms feature views over the hinterland and river. Best For… Families who want 5 star luxury with an awesome pool and other family friendly facilities. 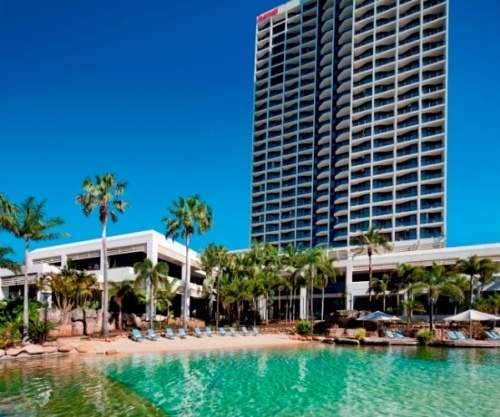 Click here for the latest prices and reviews of the Surfers Paradise Marriott Resort and Spa. Spindrift on the Beach – spacious two bedroom apartments right on Mermaid Beach. Wyndham Surfers Paradise – airy apartments located a short walk from the beach in Surfers Paradise. Hi Surf Beachfront Resort Apartments – modern two bedroom apartments with many facilities a short walk from the beach. 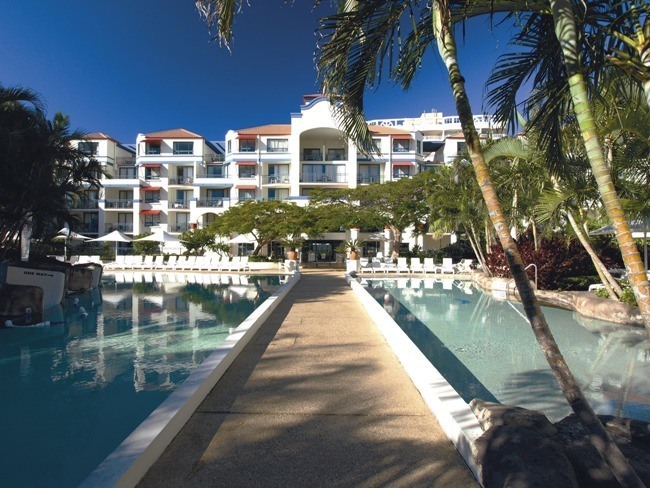 Greenmount Beach Resort – close to the beach and Coolangatta airport. 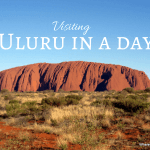 Visiting Far North Queensland? Read our guide to the best family accommodation options here. 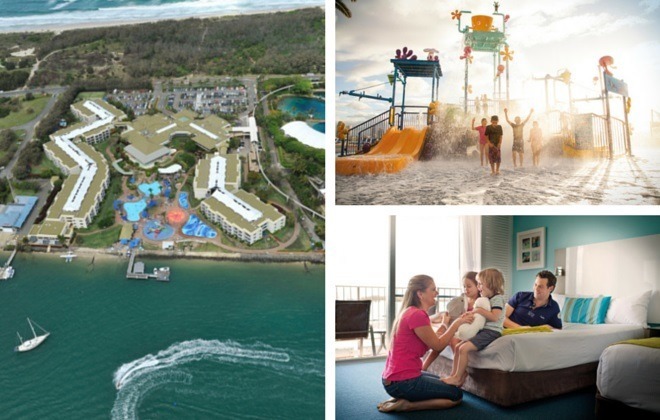 What is your pick for the best family resort on the Gold Coast? This article contains affiliate links. This means that if you make a booking after clicking on one of these links that we may receive a small commission at no extra cost to you. Thanks for sharing the great list of family vacation. Actually, I really like to explore Breakfree Diamond Beach as they have fantastic places to explore mostly for our kids. Our kids will enjoy with comfort. Thanks for your comments, Shrona! Gold Coast is one of the best location have your vacation most enjoyable. Actually, I had visited Sheraton Mirage Resort and I can say that they are really unbelievable. Hospitality at it’s best and great packages options. Thanks for you thoughts, Honor! Thanks a lot Sharon. This is really a great list, exactly the kind of details i want. Love your personal takes on what’s best, tips and warnings. 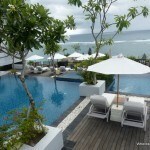 thanks for your blogs regarding top 10 resort in Goldcost. My personal opinion : Ashmore Palms Holiday Village is best . Last year , i been there are got Christmas discount. Environment and hospitality was great . Point to be noted, they allowed my dog as well. Thankyou so much Sharon. Your blog is great and helpful. I come from Indonesia so I wanna know which area is better for us (me, my hubby and my 10yo son) to stay on the Gold Coast for 4days and two of those days we plan to go to movie world and dream world. We also prefer place near by the beach. Is Bilinga a good place to stay? How to get to movie world and dream world from Bilinga? Hi Hannah! Bilinga is quite far from the main action part of the Gold Coast (which is centred around Surfers Paradise and Broadbeach). If you want to stay down there, I would recommend hiring a car. There are buses as well though. Movie world and Dreamworld are a lot of fun. They are a bit of a drive from the Gold Coast. Last time I went to them (admittedly awhile ago so it may have changed), it was easy to buy tickets from tour agents on the Gold Coast which included shuttle buses there and back. 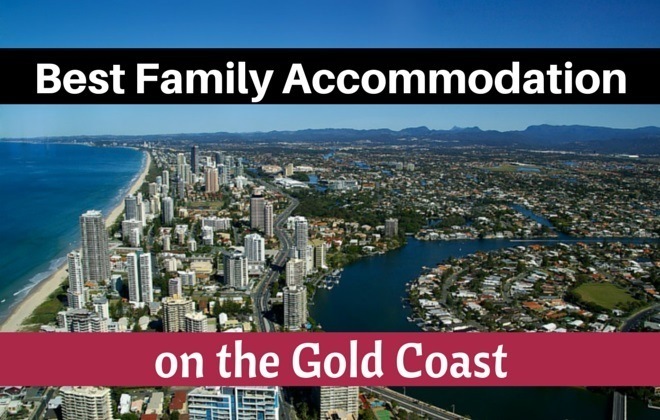 Thank you for sharing the top 10 best accommodation for the family on the gold coast. The children must have fun those places you have shared. It would be perfect places for vacation.